In one week and one day, we are returning to the UK! 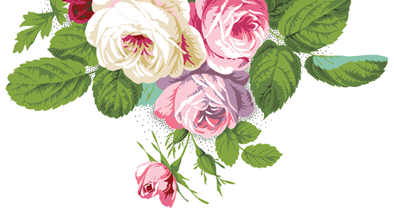 Join us on the 12th of February at 10am and 3pm GMT for our “Crafting with Anna Griffin” shows on QVC UK! This is the last preview before our visit next week, and we hope that it gets you ready to create! We have a few UK winners to announce from our last post! 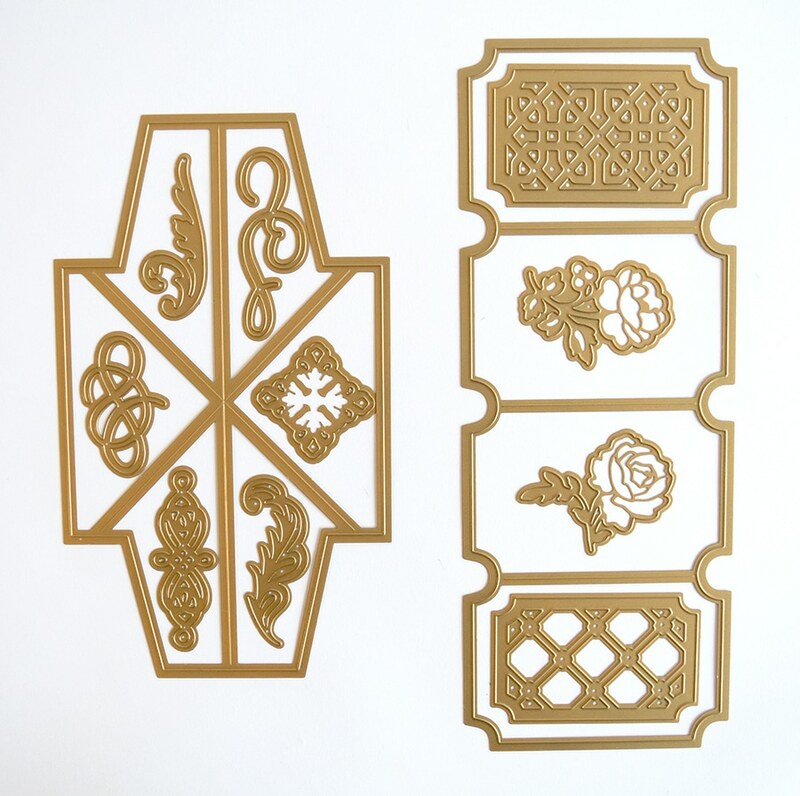 Our All Four Corners Dies are headed to Lynda Hoare, our Pulley Card Making Kit is yours Patricia Pascoe and you have won our Easel Frame Dies Tracey Clarke. Lenore Spence you have won our Paper Doll Card Toppers. 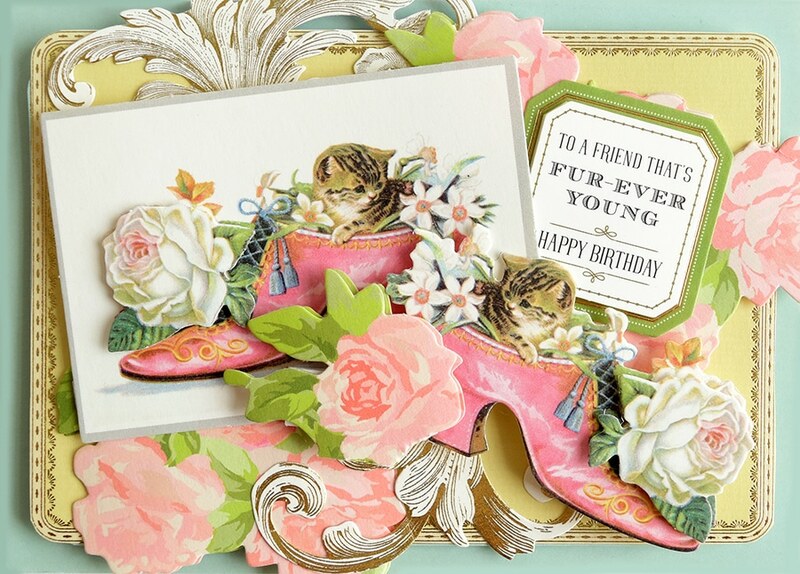 For the Birthday Collage Card Toppers and Cards, Carla Vidal you are also a lucky winner. We have sent you each an email about how to claim your prize. Now, it’s time to get a peek at some items that are on the 12th of February! 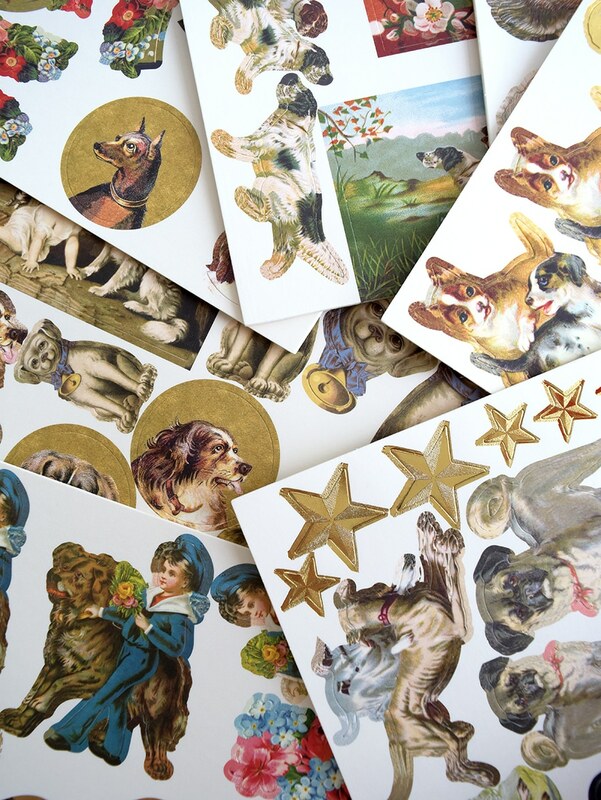 Fur-st things first, our Canine Card Toppers is coming your way UK! You’re going to love this adorable set of 40 card layers, bold sentiment stickers, 272 diecuts (4 each of 16 designs), foam adhesive and more! 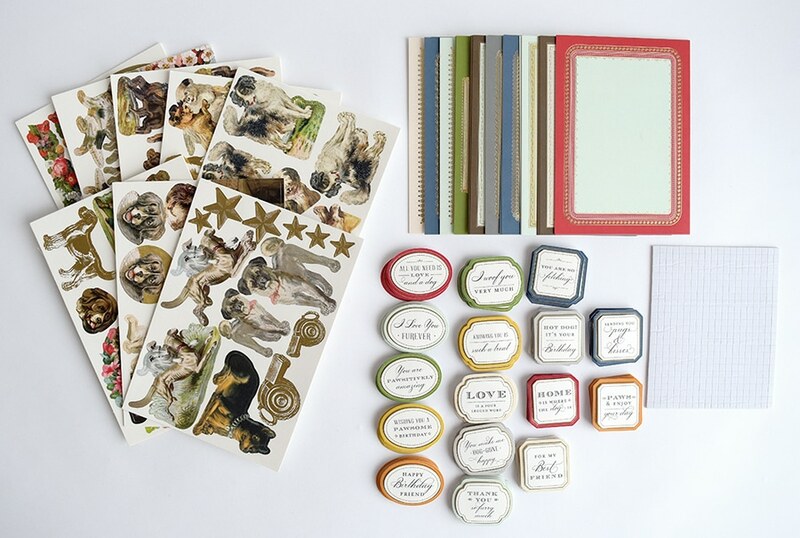 Each set contains many of your favorite dog breeds from pugs to Cavalier King Charles Spaniels and more! 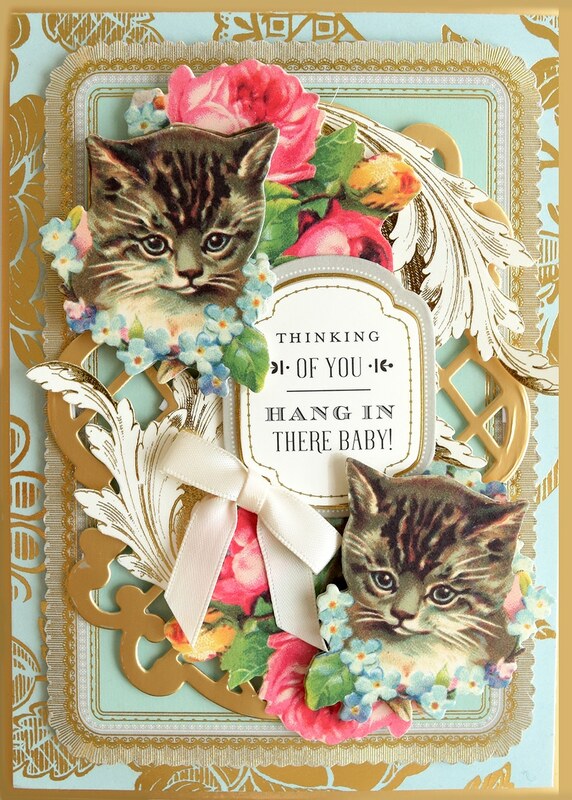 Our Feline Card Toppers will have you saying me-owww! This set is full of furry favorites! 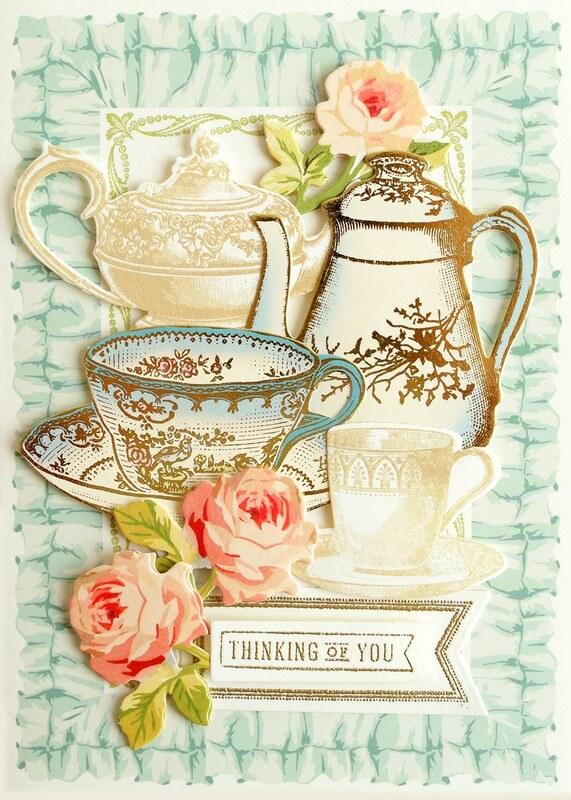 You will receive 40 card layers, 56 sentiment stickers, 256 diecuts, foam adhesive and more! 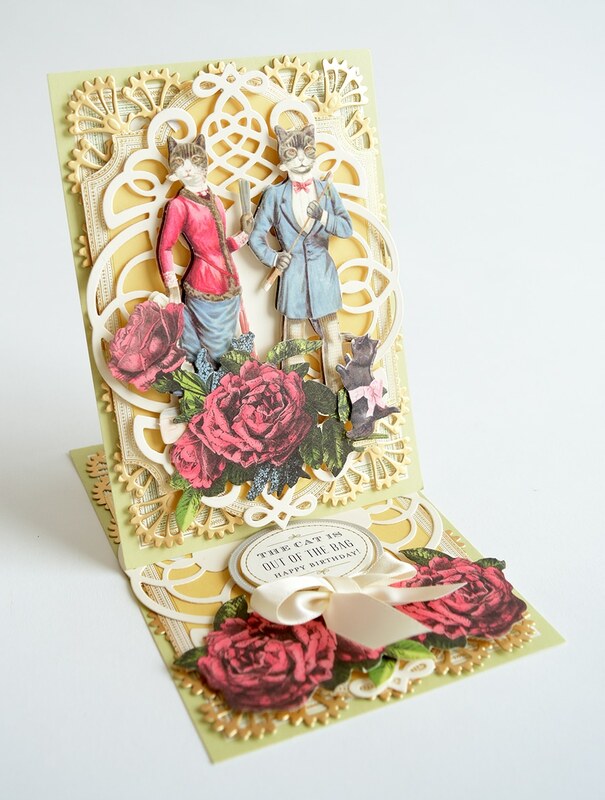 Cats in shoes, Mr. and Mrs. Cat and cats surrounded by flowers are just a few of the fun imagery in this kit! It’s time for tea! 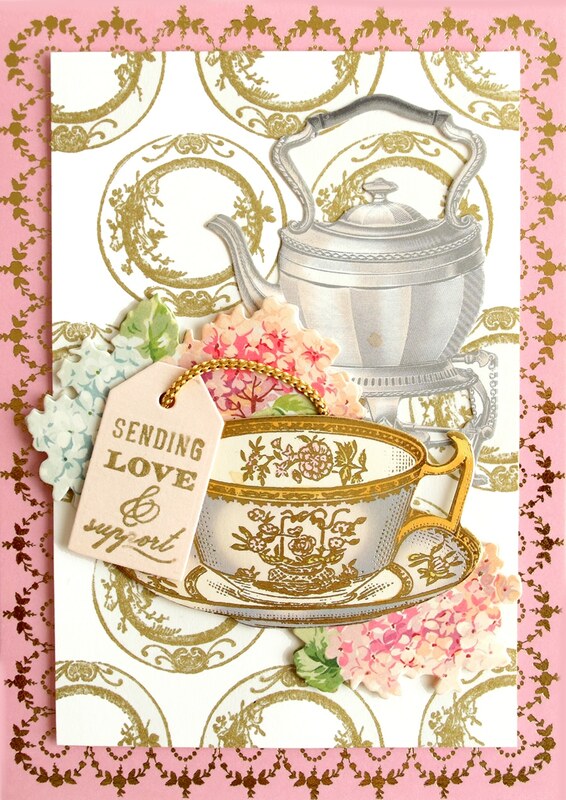 We know that you love tea in the UK, and you are going to love our Tea Cup Stamps, Dies and Diecuts. 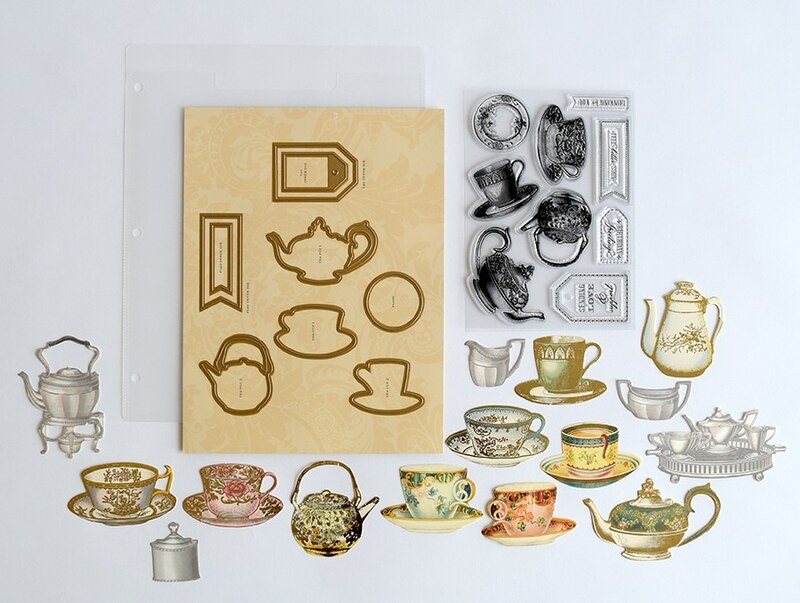 You will be able to stamp and cut endless embellishments for your cards and scrapbook pages. The set also comes with gorgeous hand colored tea cups for further decorating. We can’t wait to see the amazing projects that you make with this set! Are you ready to Swivel and Pop your way to the top? 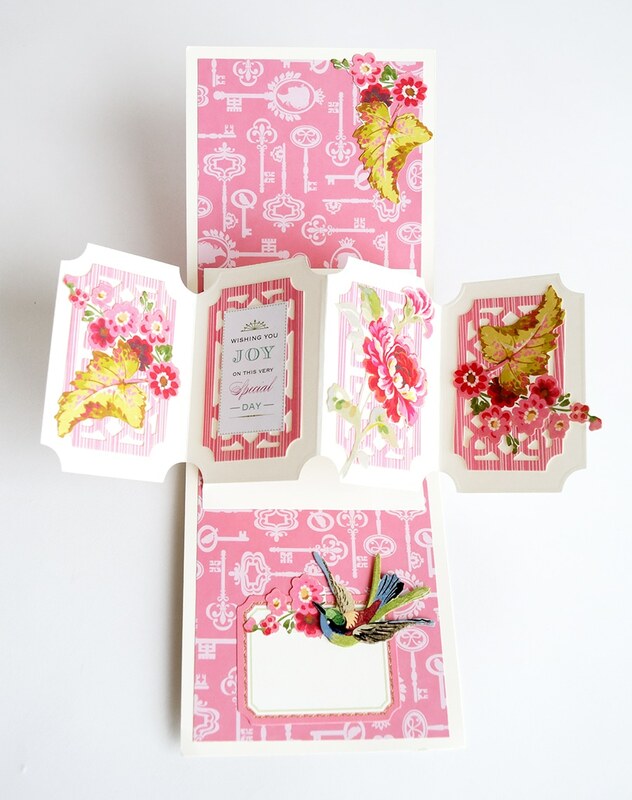 Our Swivel and Pop Card Making Kit makes it easy for you to make a new kind of pop up card! We have engineered these incredible cards, given clear instructions and included everything you need to wow friends and family! 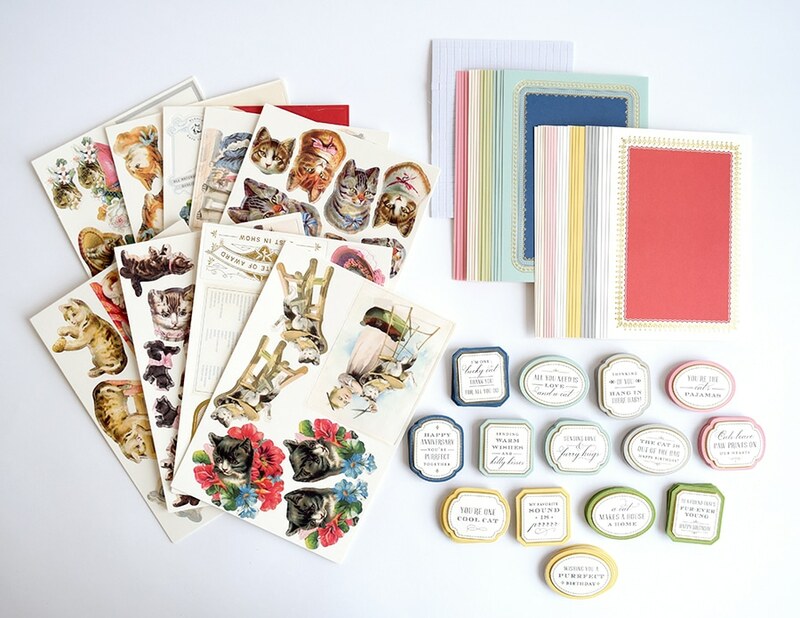 If you want to make swivel and pop cards with your own Anna Griffin papers, embellishments and sentiments, then our Swivel and Pop Dies are for you! You can make unique cards like no other that come together easily and beautifully. These 12 dies are sure to be a new favorite! The countdown is on! We are so excited for our shows next week, and we hope that you will join us for all the fun! This is just the beginning of what we are bringing to QVC UK this year! https://www.qvcuk.com/catalog/search.html?keyword=anna+griffin. If you want to watch online, you can do so here: https://www.qvcuk.com/content/shop-live-tv.qvc.html. I made my Aunt a card using the flip die, I hope she liked it. Thanks Anna for the beauty you bring us in each and everything you design. Iam most excited about the card sets, I love the twist one and the shadow box one. I ordered them and dies both from the HSN. I tell everyone about you and your cards . My friend from card class Chelsea got to get a pic with you not to long ago . I went to Chelseas to see if I liked your die cutting machine . I do so I need to get one of them next. I just want to say thank you for everything you make .I have so much fun shopping for craft stuff . keep on making so we can keep on shopping. I meant to put, love, love, love!! Stupid fat fingers!! Looks be the swivel pop up dies! And of course the kitty card toppers! The swivel and pop card making kit is so Beautiful! I would be so,so happy to make these! You really out did yourself with the Feline and Canine Toppers, I have been waiting a long time for you to make something for animal lovers and you did it .Thank You! !,Now if you will pick out my name that will be super! Thank you. I am excited with all of it can’t wait until Feb 12. How do you watch on the U.K.? Hi Anna ,Can’t wait for your show in uk.Really want the tea pot set,we drink a lot of tea in uk!Anna you must have known?ha!Please keep coming,nobody does it better. Just when I think I have all your products I need, you come out with more. I must have the tea cups and tea pot. I have been looking for a set. Would be nice if I could win one,but if not, I’ll get one. Hi Anna,wow love,love,the cats and dogs set.Have been waiting a long time for this.Totally adore your designs.Sending you and your team lots of love. A word of advice to our friends in the UK. These items sold out so fast here in the US! The swivel & pop card kit sold out before I had a chance to buy them. I’m still kicking myself, especially after watching this video and seeing the cards again! Hopefully Anna will bring them back soon! Oh and the feline card toppers are so much fun! Jeanie, it will be back on hsn.com on March 5th! I ordered the Swivel & Pop Dies & they just arrived recently. I can hardly wait to use it. The card sets with the cats & dogs are adorable as well as clever. Looking forward to getting them soon. Thanks Anna for all these choices of things. Thank you for coming, it has been a long cold winter in Alaska and we are not done yet. I need a project. I have been sorting, cleaning my craft area, getting ready to finish out the winter with some pretty new cardmaking ideas. I love the swivel and pop dies! 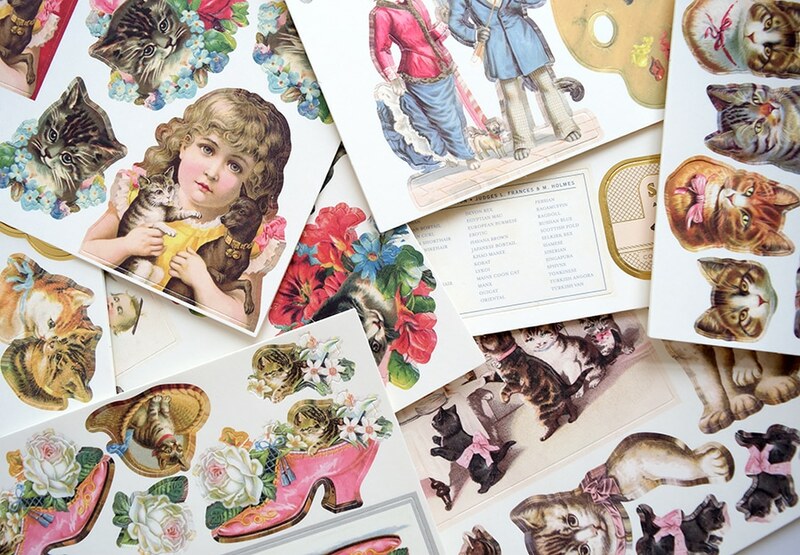 Woukd have fun sending cards and trying to incorporate them into scrapbooking pages! Such a buzz having you back in the uk. I love all your products…. my favourite at the moment is the pop up swivel die set. Maybe on your next uk visit…..
Love the look of everything but must admit I think the swivel and pop ones have to be my favourite!! I have so many of your craft items and love them all. I have bought your things for decades from QVC. I just wish that you were on more often than every 6 months. That just isn’t enough for an Anna Griffin fix!!! I just love that swivel and pop card kit. Hoping hsn will get more swivel and pop card kits. I didn’t get it last time and now its gone. Good fans have to have the latest Anna products. 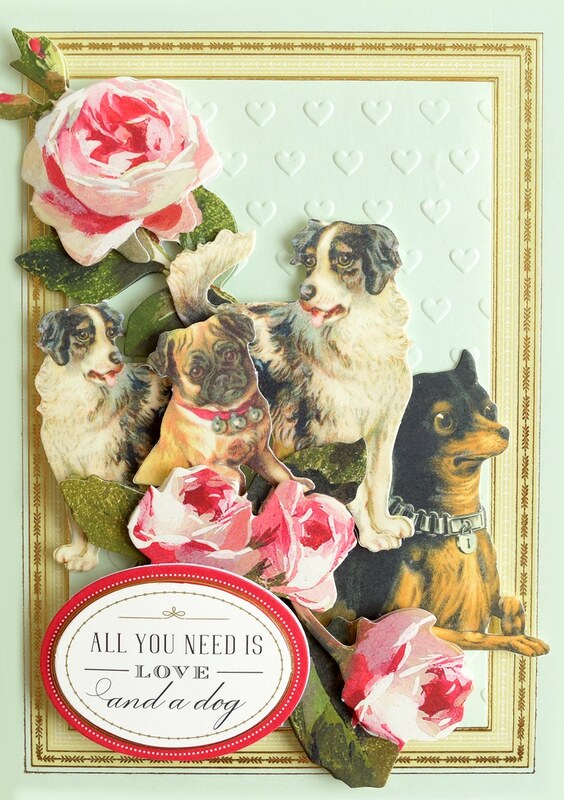 I love the kitty and dogs card also. Enjoy your trip across the pond. They will be back on HSN.com on March 5th! Thank you for making such beautiful crafting supplies! The swivel and pop card set is stunning while the canine set would be perfect for all my dog loving friends in my bible study! Anna, we need paper that is the correct size for the outer cards for the swivel and pop dies. 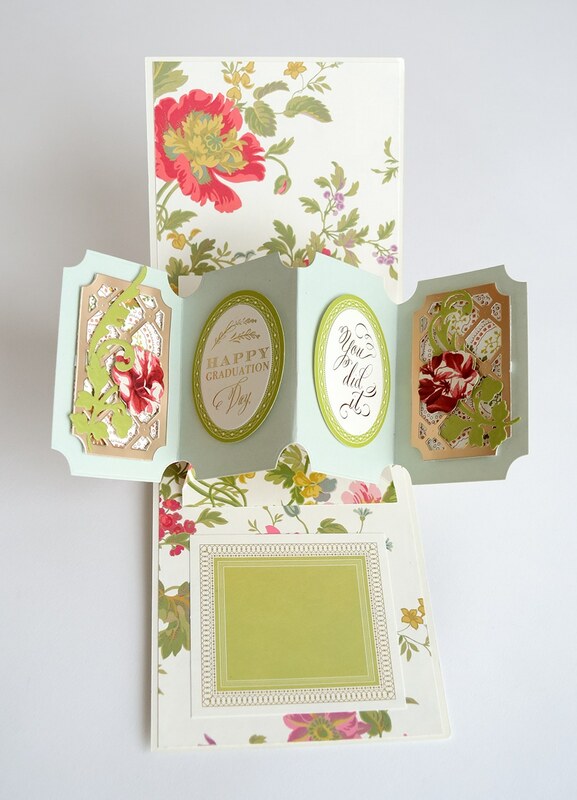 It is almost impossible to find cardstock that is long enough to make cards and with the dies. A die to cut it would be nice too. Your creative products are just over the top Anna! 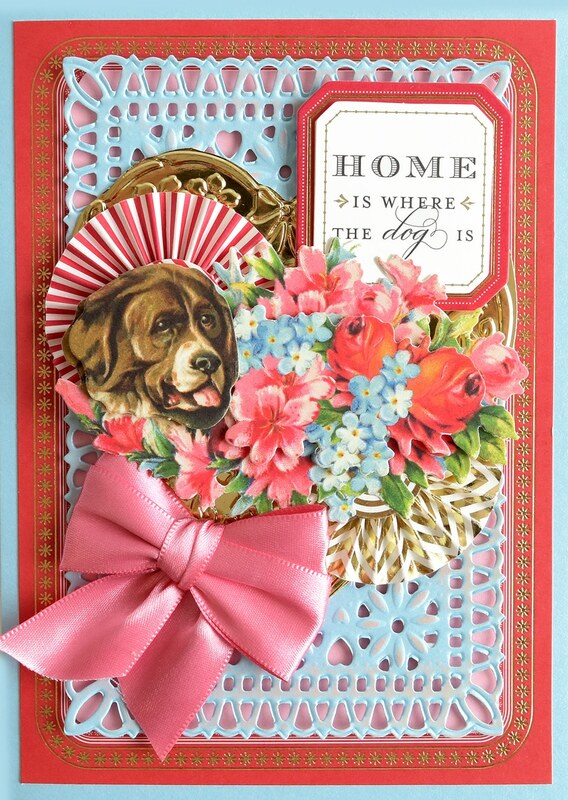 Love the dog and cat embellishments. US, and I need the kit, I have designer’s block and the kit would really help me. These card kits are so wonderful. Wish I could have gotten everything when it was offered on HSN….Now I just checked and the swivel and pop dies are sold out. So sad. to your UK viewers. Don’t let this one get away. Hope you will have them back on HSN. They will be back on HSN.com February 8th! am most excited about the pop and swivel cards and the dies of like kind, plus the dog and cat card boxes, have two dogs and a cat, we are old and they really keep us happy and busy and loved. I make cards and other things four hours a day and mostly what i use is stuff I got from you that I reshape or add to with my own art work. Thank you so much and u will never know to what extent your inspiration has touched so many including me. I just love the pop and swivel cards. I am partial to the dogs, but I do like the cats also. Happy Anna-versary to a very special lady that touches so many of our lives. I am not in Canada but am excited for those folks to be able to have a chance to receive all of these goodies! I won’t tell two people you are coming – I tell everyone! I recommend you to anyone with good taste, and everyone who needs it too. And you’re coming on my mum’s birthday, super. Hi Anna , excited to see you on qvc next week. It has been a long time since you were here. I like all the new dies, and am sure I will be tempted to buy too many sets. , and the new Swivel set looks gorgeous.. Thankyou! looking forward to the pop and swirl card kit, and the dog and cat card kit. love them, they looked brilliant when I saw them on HSN, and I was so hoping they would come to UK, and wow, they are. Thank you Anna. 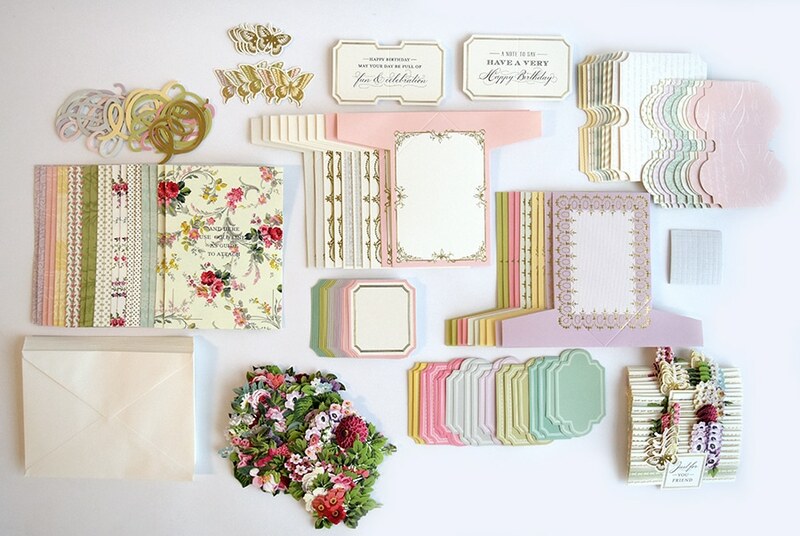 such loveliness….I am just lusting after your pop card kits..oh my !!! They will be back on hsn.com 2/8! It all looks amazing! I especially love the ‘Time for Tea’ set! It will be a privilege as always to have you visit us in Little Old UK. All of your beautiful designs are such a pleasure to see and of course, use to create our own masterpieces. My daughter and I still make cards together, although she is now at university, and our family and friends love to receive the cards. We have also used some of the extra bits and bobs to scrapbook. I would love to have your swivel pop card kit. I missed out on it earlier. It looks so pretty and quite easy to use. I love your tea sets !!!!! Hi Anna, love the swivel pop up cards set and the dies. Seen them on the Jan 5&6th presentation, but had already gone over my limit.Maybe next time or maybe I will be the lucky one to win them?? Looking forward to Feb 12 and March 5th. Thanks for all the beautiful items you present us with. Have a wonderful day. I love the swivel and twist dies that look so great. 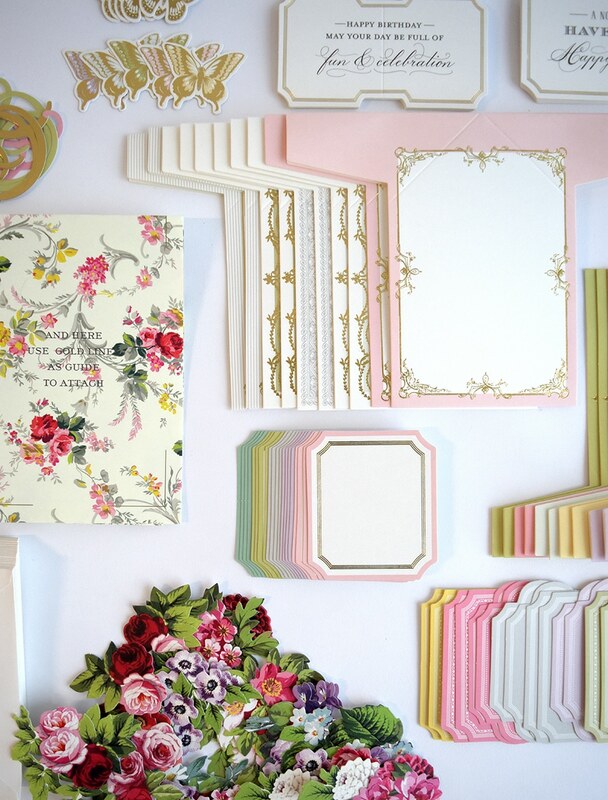 Have you any scrapbooking supplies in this visit ? You can use lots of different items with scrapbooking. We will show you more on 2/12! I’m on team dog. But I am cat sitting my Kiddos cat, Kyle. He likes watching you on my phone Anna. Kept trying to rub the phone. Oh that Kitty Kitty Kyle. Safe travels Anna we look forward to you returning to the US. Everything is amazing! !! How do we watch it from the US? I AM SO EXCITED to get all of these sets. How and when can we get them from. The US? Love the swivel and pop dies. Will they be available in the US or did I already miss them? 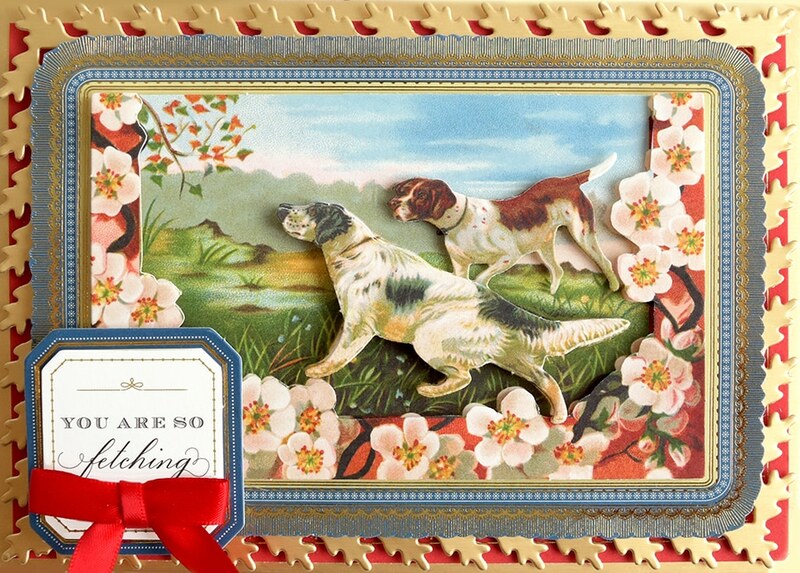 The dog card are beautiful and elegant. Leave it to Anna to take dogs on cards and they be elegant. Love love it…Thank you so much. It makes it where we can still make hand made items in a fraction of time. So pleased that you’re back over here again, I’ve been following you since you first came. My craft room is a homage to you!! I love all your things and your bedding! Counting down the hours till next week. Thankyou for all your inspiration it has lifted me up from some dark places. Crafting is a joy and I’m pleased to have been with you all the way. I have been waiting with anticipation for today’s Blog to see what more delights you have in store for us. Firstly, a big thank you for my winning the Easel Frame Does (I hope I am the only Tracey Clarke). And just to let you know what a fan I am of you and your products I have cancelled two appointments on the 12th, one being Afternoon Tea at The Ritz. You always have great ideas for products. Just love them all. Mad about the cats. Looking forward to seeing you again on QVC. 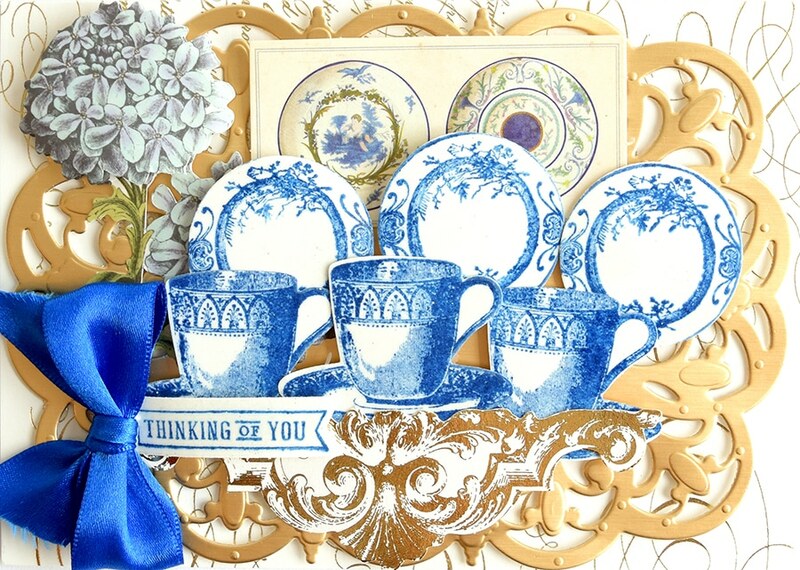 As always , Anna you bring beautiful items together to make the most wonderful cards. I wish these items were here in America to obtain, so we could make these amazing cards and once again spread our wings to show what we can create. Cant wait until Tuesday will be watching both shows. Love all your products and will be buying all of them as usual. Can you come to the UK more often. Anna, can’t wait for you to be back in the UK. Can’t wait for the Twist and Pop Cards … they are a must have. 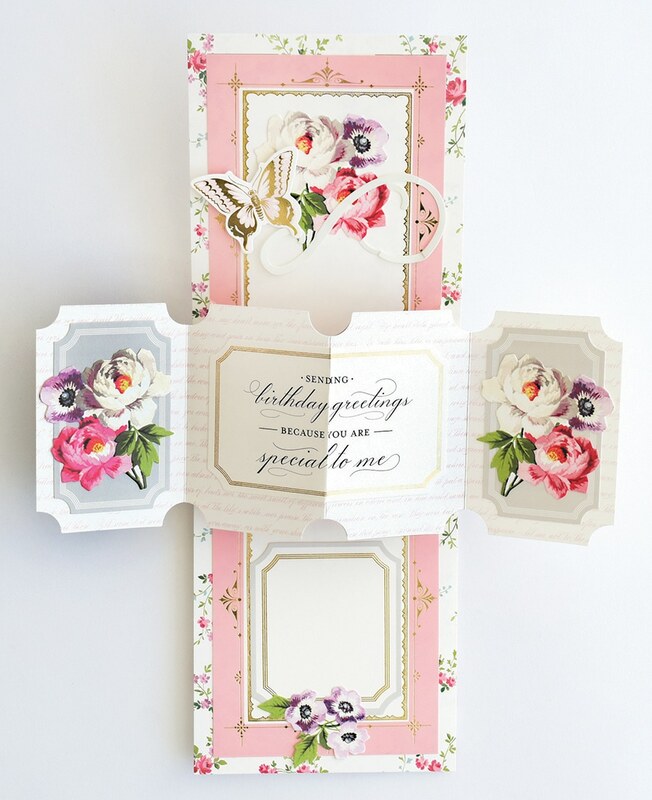 Also looking forward to the Easel Card and would love to see some of your Foil Stamps … I just love it all!! Anna all your products are so beautiful and so well made. I think the tea set is so adorable and the snap and pop set are wonderful. Thank you for all your hard work. I’m here in the States, but had to comment for those who will be seeing Anna’s presentation in the U.K…if you can – sign up for her blog. Anna’s products are lovely, but sharing the results of her kits and elements are immeasurable. She and so many of her support staff and followers (Griffinites) are wonderful, imaginative artistes that inspire me to see things in new ways and try new techniques with papers and patterns and colors. Fan mail Fridays are remarkable, and you’ll enjoy a whole new world that opens up to you. Have fun with your works and creations and best wishes for the joy of new discoveries. I am alsways so impressed by the die sets – well thought out and engineered. Thank you! I spent hours trying to figure out the pop card and you made a die set to simplify it! Thank you! Love all the products 😍 But can’t wait to get the dog toppers and paper dolls… pure beautiful nostalgia❤️ You have to keep coming to the UK you shows fantastic. My favorite is the swivel and pop. Wow, I’m loving the teacups set. Cannot wait to see the show. So pleased you are coming to the UK again. I am most excited about some new papers!! That swivel and pop is amazing, I saw it on HSN and hoped it would be here on QVC. I’ve told a whole load of crafting friends to tune in on the 12th so hope they enjoy it as much as me we are assured that QVC will deliver the goods not like the ill fated, not to be mentioned channel a couple of years ago which it seems is what put people off buying things. Sometimes we only manage to get some of the parts needed to complete a project. I’m still looking out for the toppers for the acetate cards for all occasions and the full set of cards to go with the Vintage Christmas decoupage die cuts – any chance we will see those this year ? Maybe we will have them for a show later in the year. I love the tea !!!!!!! It.s beautiful set. I can’t wait to see you again on QVC. The item I am waiting for, was previewed in your first blog, the pully cards, I’ve already set a reminder so that I don’t miss out on them. I love your designs and colour schemes, please do keep coming back to the UK. All your products are purrfect, especially for a cat lover. So many wonderful products. I hope that QVCUK can cope with all of your fans ringing in/buying on line at the same time. It can get a little crazy to order at times. Nevertheless, I have told two crafty people about your shows and we’ll all be watching. Can’t wait. Wishing you safe travels. 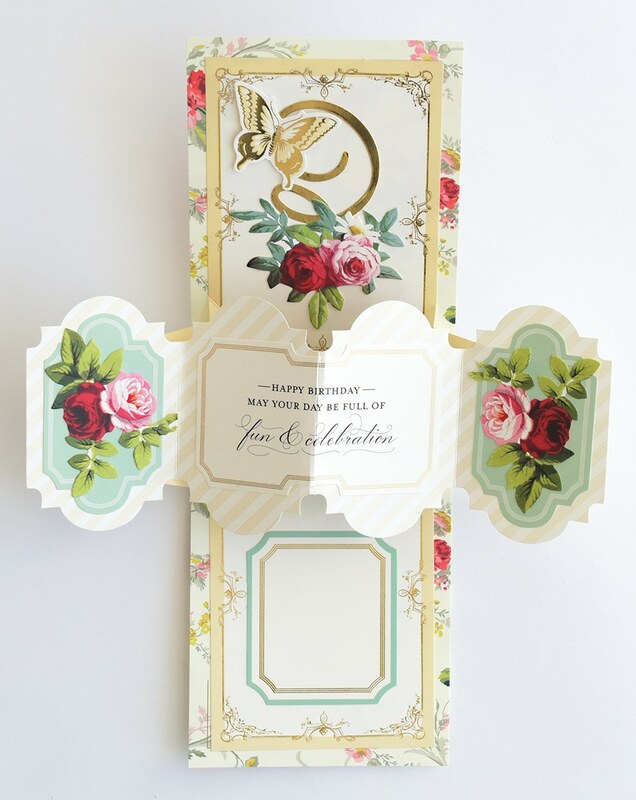 Your swivel and pop cards are to die for! I mustbuy them. I am going to check on HSN right now to see if they are in stock! Love all your creative ideas! 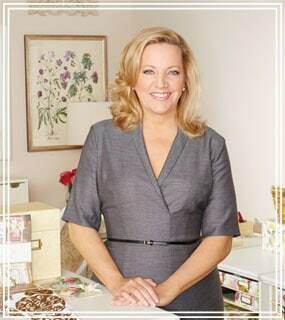 So looking forward to seeing Anna and all the lovely products on my TV screen in the UK. We need a treat at the end of our winter. I wish that there were still scrapbooks as I used to really love doing them and I get to keep them to enjoy over and over. Does anyone else remember the early ones which came in a box with ribbon bows on? They will never date or go out of fashion and were one of my earliest purchases from QVC. Anna, I am in the US, but would like to purchase a few things I missed out on in January, Is there any possible way I can order from QVC UK? Hi Susan, unfortunately they do not ship to the UK. Many items are coming back to hsn.com soon, and we will continue adding items to our website: http://www.annagriffin.com. I love all of Anna Griffin’s projects they are always sooo beautiful and different to what everyone else is creating. I shall certainly be buying the kitty cards as well as lots of other kits too, they are also beautifully packaged. Can’t wait for Tuesday 12th to come soon enough! Hi Susan, you have to live in the UK. We will have new and returning items on hsn on March 5th. Do not hesitate if you like something. I have and then when I decide to buy the item is gone! I just got my Tea cups and pot They are so much prettier than on TV. I’m going to England in May/June, and will look for your products in craft stores. It is fun to shop there because they sell some different things. Have a great trip. Wow, I live in the UK and have never seen things in craft stores here. Is there really somewhere to go in the UK and buy Anna’s products ? The animals are ALWAYS MY FAVORITES!!!!! Oh, how I love these….! Have a great trip Anna! Can’t wait for the previews for the March shows! I am also in the US…so excited to be able to view your presentation on 12 Feb…..Love the animals however I love, love, love the Swivel and Twist dies. Definitely want these for my collection of dies. Thanks for your creativeness!! !